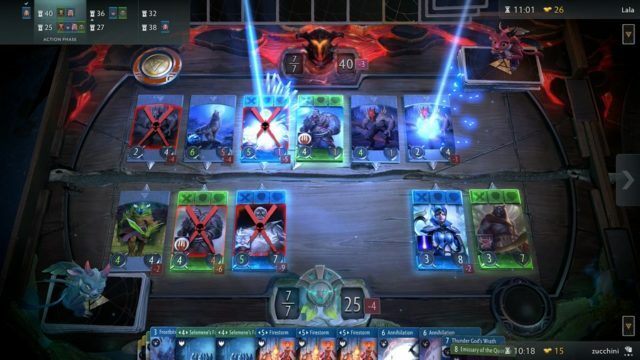 Last year Valve announced a new game called Artifact which is a card game based on DotA 2. However it seems that during a recent beta of the game, gamers discovered how the company plans on monetizing the game which seems to involve players spending real-life money for pretty much everything. Basically gamers need to pay for the game, after which they’ll need to pay to buy cards to build decks to play the game. Cards can also be won through game modes that require event tickets to participate, and yes as you might have guessed, those tickets need to be bought using real-life money as well. We get that spending money to get new cards is part of such games (see Hearthstone and Magic: the Gathering), but hopefully by allowing users to recycle unwanted cards into event tickets will help reduce the overall costs to gamers. Artifact is currently slated for a release on the 28th of November.